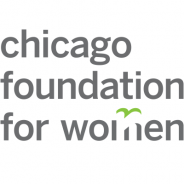 Disenfranchised women and girls from the Chicago area will now have a better chance of obtaining economic security and reproductive justice, thanks to a $1.114 million donation from the Chicago Foundation for Women. The donation was broken down into 43 grants, which were awarded to multiple different organizations and causes. According to Philanthropy News Digest, 29 grants totaling $810,000 were given to organizations that support economic security for women through professional development training, stabilization services, and advocacy. Grantees include the Chinese Mutual Aid Association, which mentors and assists impoverished women from immigrant families; Enlace Chicago, which works to expand opportunities and access to health care for the city’s Spanish-speaking population; and the Restaurant Opportunities Center of Chicago, which seeks to increase wages and improve working conditions for those employed in the local food services industry. The foundation awarded an additional eight grants totaling $270,000 to groups that support reproductive justice. One such grantee was the Metropolitan Chicago Breast Cancer Task Force, which aims is to reduce racial disparities in breast cancer survival rates for black women by increasing their access to health care. The remaining $33,000 in grants was given to organizations that promote safety, health, and justice for black women and girls. Grantees include the Girls Like Me Project, which gives young black girls access to technology that can be used to record and share their experiences, and the Polished Pebbles Girls Mentoring Program, which equips girls with life skills, including communication and career tools.